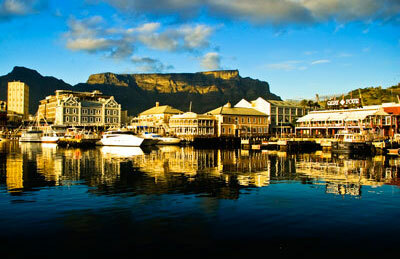 Cape Town has a magnetic attraction that draws people back time and again. It does not have anything specific or necessarily unique, but a combination of factors adds up to a great city. 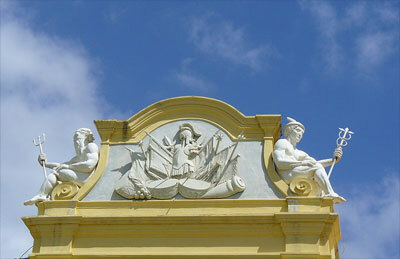 The landmark of Cape Town. Green Elephant offers guided walks up the mountain or you can take the cable car up. 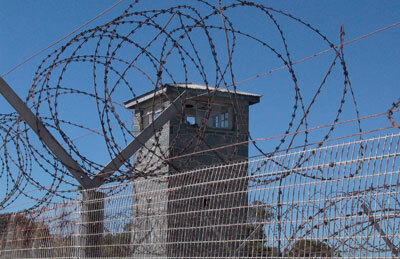 The island prison where Nelson Mandela was held for 20 years Tours to the island are held daily but we advise you book in advance. A good place to spend some money with a variety of shops, bars and restaurants. Live entertainment is held here regularly. Filled with life from the Atlantic and Indian Oceans. 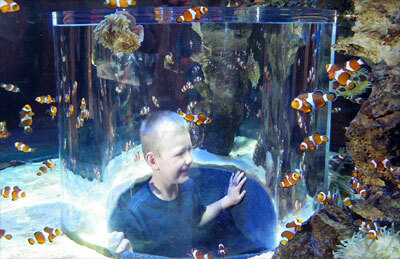 Special attractions include dives in the shark tank and the kelp farm. Located at the foot of Table Mountain. 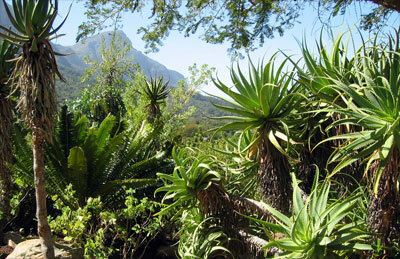 Plants in the garden cover many of South Africa’s plant types, including fynbos – the delicate vegetation found only in the Western Cape. 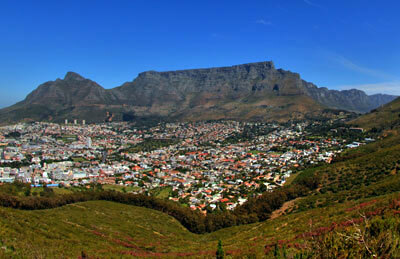 Several hiking trails up Table Mountain start here. Music concerts are held in the garden on Sunday afternoons in summer. 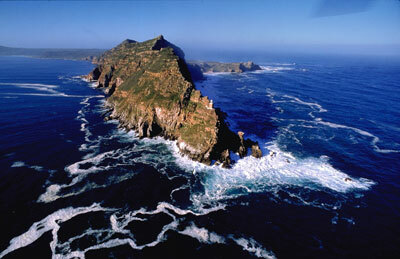 Mistakenly thought to be the meeting point of the Atlantic and Indian Oceans, Cape Point is still a great place to visit. It is the southernmost point of Africa that can be reached via a drive or cycle through the very pretty reserve. Here you can spot some buck, take a ride in a funicular, walk up to the lighthouse and hike several trails in the reserve. Africa’s only mainland colony. 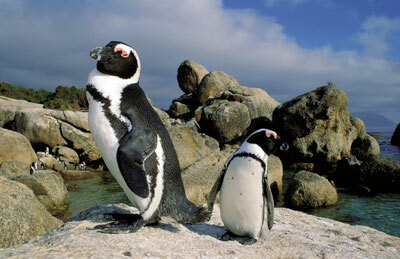 The African penguin was once known as the Jackass penguin for its donkey-like bray. Whatever they sound like, the penguins, with their tuxedo look and waddle, are the cutest chicks in the area. Arts and crafts market in the city centre. Crafts from all over Africa are sold in this bustling market. 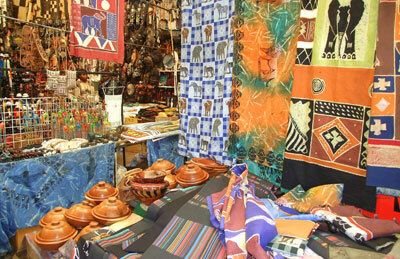 Clothes, jewellery, batiks and sculptures make great souvenirs and gifts for friends and family. Experience the vibrant life of the townships on a township tour. Vuvu, our qualified township tour guide, would love to take you for a walk around her neighbourhood in Langa. 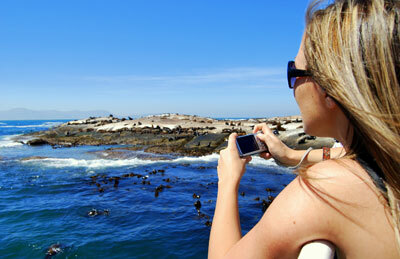 Boat trips leaving from Hout Bay to Seal Island – home to a colony of Cape fur seals. 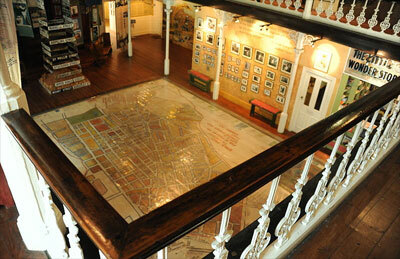 The old cobbled area of Cape Town previously known as The Slave and Malay Quarter. 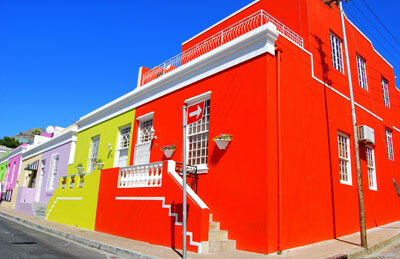 You can take a walk through the historical centre of the Cape Malay people and visit the Bo-Kaap Museum that has exhibits of the history of Cape Town’s early Muslim settlers. District 6 was once an inner-city neighbourhood before the residents were forced to leave to areas far from the city centre. The museum relates the stories of the lost and relocated community. Well renovated 17th century fort. This historical monument has fantastic old Cape Furniture.